When putting your items into storage, it can be tempting to just plunk it all down in a self-storage unit and call it a day. After all, what more do you need than a large closet with a lock on it? Self-storage lets you come and go as you please, so long as you keep paying your rent. But why struggle with moving and storing your items on your own when you could trust a full-service professional storage and moving company to do it for you? Full-service storage companies like Big Foot Moving & Storage, Inc. offer a variety of services to make the moving and storage process easier for you. 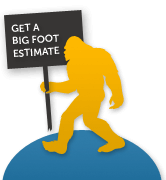 Full-service companies like Big Foot Moving & Storage, Inc. will not only come to you to pick up the items going into storage, but they also will properly pack your items for you. This means that you have a team of moving and storage professionals on your side, equipped with all the right supplies to make sure none of your belonging are damaged during the move. They will even take an inventory of the items being put into storage, assessing their state so that any damages can be detected. One common problem with self-storage units is that they are not climate-controlled. In fact, far from it: it is not uncommon for units to suffer major temperatures fluctuations as well as water damage and related issues. Professional storage and moving companies take pride in their storage facilities, making sure that your belongings are always in a climate-controlled environment for better preservation. Professional storage and moving companies can provide greater safety and security for your belongings in comparison to self-service units. 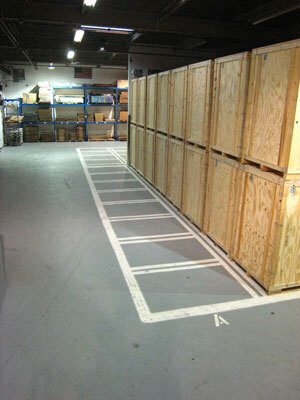 With self-storage, anyone with the code can access large portions of the storage facility at almost any time. This opens up the risk of break-ins and theft. With professional storage facilities like Big Foot Moving & Storage, Inc., your possessions will be kept safely under lock and key where only team members can access them. In the event that you need to access your belongings, your storage professionals will pull the requested items for you. 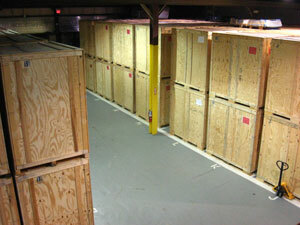 Full-service professional storage companies provide services well beyond what any self-storage unit can imagine. With a team of professionals on your side, you can ensure the safekeeping of your possessions for the long-term. The team at Big Foot Moving & Storage, Inc. put your needs first, changing the face of storage from a dark closet to a professionally serviced, high performance facility. It is critical to properly pack and protect your furniture to avoid any damage while in storage. These three easy tips from the full-service storage professionals at Big Foot Moving & Storage, Inc. can help you pack your furniture efficiently to maintain its current condition in storage. The best thing you can do to prevent damage to your furniture is hire a professional. The team at Big Foot Moving & Storage, Inc. is trained in the best ways to prepare your furniture to prevent damage. Don’t hire an unlicensed company; always check to make sure they are certified to work with your valuable furniture. Bubble wrap and plastic wrap, as well as blankets, are your best friends when it comes to protecting furniture in storage. You or your full-service moving professionals should thoroughly wrap all furniture before it is moved and put into storage. Blankets or furniture pads should be placed over tables to prevent scratching, and all furniture legs and corners should be wrapped in bubble wrap. Plastic wrap or blankets can be used to protect upholstery from rips and stains in the moving process. Don’t just store your furniture anywhere. This means two things: first, you should not simply load your furniture into a self-storage unit where it will be exposed to variable temperatures and fluctuating humidity. Second, when loading furniture into a storage unit, be careful about where it is located relative to other possessions. For example, gardening supplies next to wood furniture is just asking for damage to happen. If you choose a team of moving and storage professionals, they will apply their expertise to properly organize your furniture in storage. If you have additional questions about our storage services, please contact us. A friendly member of our team is happy to answer all of your questions. Big Foot Moving & Storage delivers 3000+lbs of food to Arlington Food Pantry. Mike Bavuso and Big Foot Moving were great! I was moving from a North End Boston apartment and the crew went up and down five flights of stairs so quickly, without a nick or scratch on anything. With the narrow staircase, it was definitely a challenge! Not only were they professional, but they were friendly and enthusiastic. Anytime someone tells me they are moving, I highly recommend they use Big Foot Moving. They made my moving experience a breeze! I would use them again in a heartbeat.